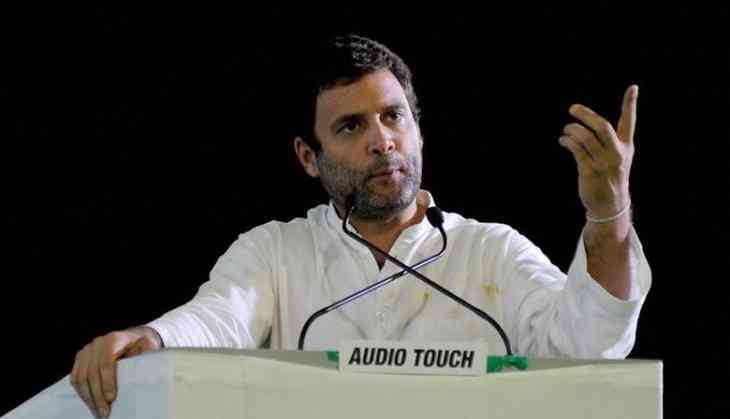 Congress President Rahul Gandhi broke his silence on Friday over Dr CP Joshi's controversial remark stating only Brahmans can talk about Hinduism. Logging on to Twitter, the Gandhi scion stated that Joshi's remarks do not sync with his political party's ideals and urged his leaders not to utter anything which can hurt the sentiment of any section of the society. "C P Joshi Ji's statement is contrary to Congress party's ideals. The party leaders should not give any statement that hurts sentiments of any section of the society." The Congress president also sternly stated that Dr Joshi must express regret over his statement. "While respecting the principles of Congress, the spirit of the workers, Joshiji must surely realize the mistake. He should express regret over his statement," Gandhi wrote on his Twitter handle. Shortly after Gandhi's statement, Joshi expressed regret for his remarks and stated, " With due to the Congress party's principles and its workers, I express regret over my statments if it has caused hurt to any section of the society." On Wednesday, AICC general secretary and senior Congress leader from Rajasthan, Dr CP Joshi, stated that only Brahmins can talk about Hindusim. He also mentioned Prime Minister Narendra Modi and central minister Uma Bharti in his speech, questioning why the two speak on Hindu religion when they are not Brahmins or pandits. While addressing a public gathering at his hometown Nathdwara on Wednesday, Joshi had said, "They say a Congressi can't be a Hindu, who gave them the authority to issue certificates? Have they opened a university? If anyone knows about religion then its pandits/brahmins. They are just misguiding the people by such moves. Uma Bharti is a Lodhi, and she talks about Hinduism, Modi ji talks about Hinduism. Its only Brahmins who don't talk about it. The country is being misled. Religion and governance are two different things. Everyone has the right to practice their religion." Dr Joshi also charged BJP with spreading lies about the equation shared by India's first home minister Sardar Vallabhbhai and Pandit Jawaharlal Nehru. He stated that, contrary to what is portrayed by BJP, Patel never initiated a move without consulting Nehru. Known as the 'Iron Man of India', Patel was instrumental in uniting the country through the merger of princely states.